Sokratis joined from Borussia Dortmund at the start of the season after a solid five-year spell at Signal Iduna Park. Despite his undoubted experience and physical presence, some had reservations about his suitability to the Premier League, particularly due to a perceived lack of pace. But he has generally impressed in his 22 Premier League appearances, while he has also featured eight times in Europe. 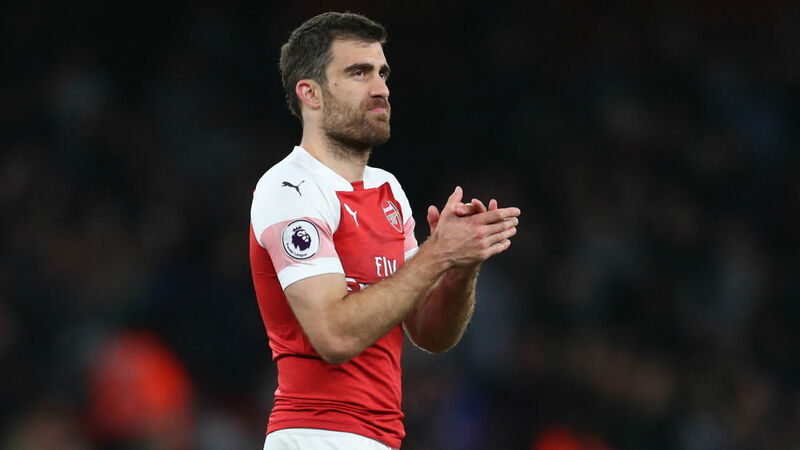 The 30-year-old Greece centre-back is likely to start away to Napoli and Emery expects another top performance from him to help Arsenal reach the Europa League semi-finals. "I think the adaptation [at] first is important and not easy," Emery told reporters in his pre-match news conference. "It's different for different players. We spoke about that with Papa [Sokratis] in pre-season. His adaptation was with the time and the training, the matches are different in England. "He took the big performances to help us, like he is now. We are very happy with him and [Thursday] is a big match, so we need players with experience. He's one of those players." Arsenal head into the second leg with a 2-0 lead from the home leg, though Emery still considers the tie to be wide open given Napoli's talented squad. When asked about Arsenal's chances of progression, Emery said: "It's 50:50, it's not changed for me. "We played the first leg at home and we won, but if you did one question about the first leg when at home, we won. That's a normal result. "But when you play here against Napoli and think they can beat you, it's a possibility because they are very strong at home. We are 50:50. It's not changed, but our mentality and target is to play to win. "They are a great club with a great president and a great coach here. [Carlo] Ancelotti is a three-time Champions League winner. "They have great players, their history is great history and their present gives them great opportunities and optimism to win things. "They're second in [Serie A] and they will play against us in this round of the Europa League."